World Rugby has announced the schedule for the men’s and women’s HSBC World Rugby Sevens Series 2019. Rugby sevens continues to engage global audiences and break new ground. The men’s and women’s HSBC World Rugby Sevens Series 2018 saw record-breaking fan engagement figures with more than 120 million video views, a 60 per cent increase on 2017. The HSBC World Rugby Sevens Series 2019 will be hotly contested as 15 core men’s teams and 11 core women’s teams compete for the title, and with the series acting as the principal route for qualification for the Tokyo 2020 Olympic Games, it promises to be once again highly competitive. This season, the HSBC World Rugby Women’s Sevens Series increases to six rounds with USA Rugby hosting the new opening round in Glendale, Colorado, on 20-21 October, 2018. In the New Year, teams will travel to Hamilton, New Zealand, on 26-27 January, 2019 before both men’s and women’s teams are welcomed to Sydney, Australia, for three days of action packed rugby sevens from 1-3 February. The fifth and sixth rounds will be hosted in Las Vegas, USA, on 1-3 March and Vancouver, Canada, on 9-10 March, before teams travel to Hong Kong on 5-7 April and Singapore on 13-14 April for rounds seven and eight respectively. The penultimate round of the series will take place again in London on 25-26 May with Paris hosting the finale on 1-2 June. 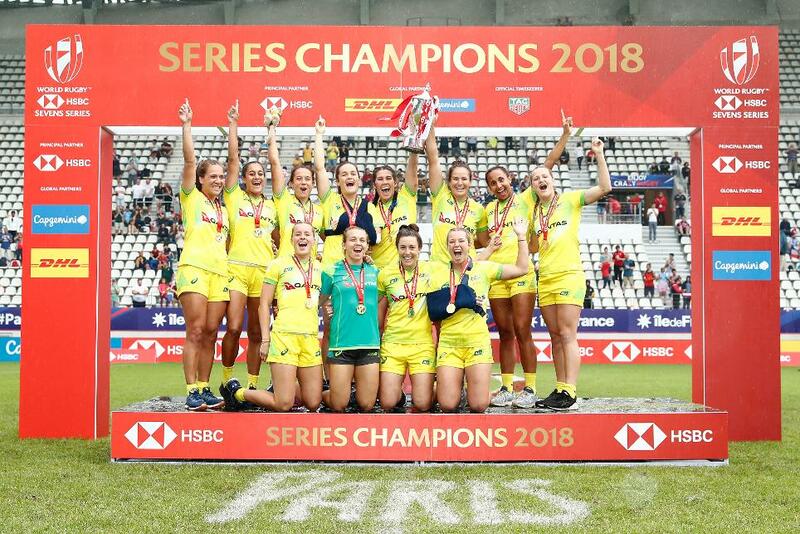 World Rugby Chairman Bill Beaumont said: “As we enter an Olympic Games qualifying year, the HSBC World Rugby Sevens Series promises to again be highly competitive as both men’s and women’s teams look to secure their place, via the world series, at Tokyo 2020. “Rugby sevens has seen record growth in awareness in recent years with its inclusion in the Olympics having a profound effect on the sport, attracting an estimated 30 million fans globally. The series continues to capture the imagination of global audiences with record-breaking fan engagement figures of over 120 million video views recorded this year. Leanne Cutts, HSBC Group General Manager and Group Head of Marketing, said: “As a long-term partner of the HSBC World Rugby Sevens Series, we can take great pride in the work we’ve done with World Rugby to help deliver the record growth and expansion the game has enjoyed in recent seasons. The 2019 series also welcomes Japan’s men and China’s women as core teams after they won the Hong Kong qualifier in April.